A woman in her thirties sustained moderate injuries yersterday after she fell a cliff in a nature reserve in Kwazulu Natal. The woman was allegedly hiking at night when she fell and broke her ankle. ER24 spokesperson Pieter Rossouw says…“Paramedics along with various search and rescue teams responded to the nature reserve and after a four hour search found the woman”. A 6-year-old boy was killed and three others injured this morning after a three vehicle collision on the N3 highway after Howick, KwaZulu Natal. “ER24 paramedics, along with other services, responded to the scene and on arrival, found a light motor vehicle and bakkie lying in the middle of the road while a truck had parked a few metres away”, said Russl Meiring. “On assessment, paramedics found the body of a six-year-old patient lying in the front seat of the light motor vehicle”, added Meiring. “Unfortunately, the child already succumbed to his fatal injuries”, He explained. Four people have died and four others were injured in a collision between two vehicles on the N1 nortbound close to Heuningspruit in the Free State earlier today. “When ER24 paramedics as well as other services arrived on scene they found four people trapped in one of the vehicles”, said Chitra Bodasing. “Sadly there was nothing that could be done for the woman and three men belived to be between their late 20’s to early 30’s”, explained Bodasing. “They were all declared dead”, added Bodasing. Minister of Basic Education Angie Motshega acknowledged on TV yesterday that in KwaZulu-Natal fear, prevented many of the best educators from applying for a promotion. SADTU has allowed its officials to capture the control of education and make it their play thing. Instead of being an occupation union with its focus on professional development, SADTU is an out and about political organisation pursuing a political agenda. The MEC spokes person Dennis Bloem says….“The minister of basic education Angie Motshega have just released a report where SADTU is implicated in corruption, selling of posts. Now we are saying that if SADTU can go that route how can we trust SADTU with the elections? They are the deciding officers when it comes to elections. The IEC must not allow that”. Nine people were injured yesterday evening after a delivery van and truck collided on the R59 in Vereeniging. The South African Police Service has re-employed almost 550 former officer in an effort to boost its fight against crime. The received more than three thousand applications for the just over one thousand re-enstiment post. Five people were injured when a truck allegedly lost control in Modjadjiskloof, Limpompo yesterday. The collusion occurred on one of the nearby mountain passes. The truck was allegedly carrying people on the back and when the truck lost control, it is believed that the passengers then jumped off the truck. Western Cape community safety MEC Dan Plato welcomes the swift from Cape Town police in Ocean View near Kommetjie, which has seen arrests made in connection with seven murders committed in the area since the 5th of this month. MEC Dan Plato’s spokesperson Ewald Botha explains. “MEC Plato urges the community at Ocean View and the rest of the communities across the Province to support the sanctions in their various investigations”, said Ewald Botha. “As safety is everyone’s responsibility and we see the criminals can be arrested”, He added. “This is not a new investigation altogether, It’s an investigation that has been there”, said Robbie Raburabu. “What happened now is the NPA came back to us to say these guys need to sign warning statements that were never signed before”, explained Raburabu. He added “And that’s what happens, after those warning statements has been signed the matter will be sent back to the NPA, for them to process the matter”. Missing Children South Africa has revealed that a child goes missing every five hours in South Africa. Globally, statistics also show that child trafficking is on the increase. Simon Colman of SHA Specialist Underwriters says in light of these alarming figures, parents are urged to keep a watchful eye over their children during the festive season. Colman explains why there’s a risk of human trafficking increasing during festive season. “Talking to kids about the dangers of talking to strangers it’s become quite cliché”, said Simon Colman. “But it doesn’t make it any less important and explaining simple things, generally an adult is not going to stop a child and ask for directions or for help somewhere when there are other adults around”, He explained. “So they should be suspicious of these things and we always telling our children to keep quiet, but we should also make it clear that there are times when they should be making a noise”, added Colman. “If they feeling uncomfortable with something they shouldn’t feel they can’t shout or scream or cry to attract attraction”, He said. The rand strengthened today and bonds rallied. The currency showed its biggest one-day advance since October 2008. But the FF Plus believes the end is nigh for Zuma. Pieter Mulder says many people have lost confidence in the President and he has no one to blame but himself. “The president for this move of re-appointing Mr Gordhan must succeed in helping to restore the confidence in our economy”, explained Pieter Mulder. “But it’s not going to succeed in restoring confidence in its self” Added Mulder. In time span of only five days, South Africa has had three different Ministers of Finance. COPE remains baffled why the president removed minister Nene in the first place. Sunday evening came the announcement from the President that he had switched Van Rooyen to COGTA and Gordhan to finance. Such a thing happens only in Banana Republic, explains COPE Spokesperson Dennis Bloem. “The Congress of the People are saying that, this president is making bad appointments one after each other”, said Spokesperson Dennis Bloem. “We have seen that over the past four days, two ministers of finance”, explains Bloem. “We don’t understand that, the president does not have advisers that he don’t listen to other people”, added Dennis Bloem. He added that, “We are saying to the president to do an honourable thing and resign, if he does not resign the people of the country must rise”. 17 people were injured this yesterday afternoon when a truck t-boned a transporter vehicle on market road in Pietermaritzburg. The City of Cape Town would like to encourage Early Childhood Development, centre operators to ensure that they have security in place over the festive season to mitigate the risk of vandalism and theft. “I suppose a case could be made for even tighter security but we simply do not have the budget for it nor do many of the private ECD who run their facilities from non city sites’’ said Suzette Little. ‘’What we need to do is make communities see the value in education for their children and why destroying their chances for a better life is a terrible idea” she added. The Gauteng Health Department says part of the reason it did not receive a clean audit is because of an accrual of payments from previous years. MEC Qedani Mahlangu says 2010 and 2011, it was not able to pay contractors because funds had been mismanaged. “As Department of Health we received a qualified report but that imamate from the accrual in 2010, 2011 you’d know that we were under administration”, said MEC Qedani Mahlangu. “So some of the suppliers were not paid and as such the subsequent financial years were still left to pay people that we did not pay in the previous financial years. But we are very sure we are moving out of that”, added MEC Mahlangu. Dawie Roodt says …“Is difficult to say why the person did it, the strange thing is, on the beginning really consulted quiet broadly when he made decisions. But I get the impressions that the last time he thinks, only doing it on his own”. “He did not consult anybody cabinet, his partner. He did not consult Luthuli House and nobody the new Minister of mineral affairs. It was a total stranger from outside from the Free State, bringing in from the outside”. “This time again it is somebody unknown coming in from the outside, normally as Mr Nene was 1st the deputy Minister. Then he became the Minister because he practises the position”. Economist Mike Schussler says President Jacob Zuma’s announcement that Nhlanhla Nene has been removed as finance minister is not the best decision he has made. Schussler warn s that poor South Africans will suffer most from resulting instability. “This is a surprise and shocking move by the president. Normally one would expect a notice about any changes in the department of finance of any country”, said Mike Schussler. “We are very worried and concerned, this situation has been bought about because one man must be standing, in the way of others for prevention of reckless trading”, added Schussler. Nine people were injured yesterday in a collision at the corner of Drakensberg Drive and Allen Street in Newcastle. Chitra Bodasing says… “ER 24 paramedics and other services arrived on a scene and found a vehicle transporting construction workers and a light motor vehicle had collided”. “Some patients, all found lying on the ground while others were found walking on scene. The patients, all from the construction vehicle, were asserted by paramedics. Six patients were found to have sustained minor injuries and three were found to have sustained moderate injuries. The patients were treated and transported to the Madadeni Hospital for further medical care. The exact cause of the incident is unknown. Authorities were on scene for further investigations. Meanwhile Two people were injured in a collusion between a taxi and a car in south Ridge Road, Berea , yesterday. The DA says Higher Education and Training the Minister Blade Nzimade’s confirmation that 35 million rand will be taken from the Eastern Cape University of Fort Hares infrastructure grant just to keep it afloat for the remainder of the financial year is of major concern. The opposition Belinda Bozzoli says Nzimande and his colleagues need to act to save tertiary institutions from having to canibisalise themselves in order to survive . Forthare spokesperson says…'' The unable to sustain themselves until the end of the financial year. And they are having to get the bail out from the government." But this is via one of the fun on infrastructure fund. It is really not could practise fund in a long term problem. So if there is a huge problem they may able to survive now until the end of the year using their own money but this is does not all go. Western Cape MEC of Health, Dr Nomafrench Mbombo officially launched “iKapa Cares”, a future partnership with specific private pharmacies who will be expanding their health service offering to include HIV Counselling and testing services, in addition to family planning at iKapa Cares outlets. A 40 year old man was killed after being struck by lightning and several others were injured in the Umzinyathi district in KwaZulu-Natal yesterday evening. KZN EMS respondent Robert Mckenzie is encouraging residents to practice caution when lightning persists. “Paramedics treated at least 15 other patients from separate incidents”, said Robert Mckenzie. “As EMS we are on stand-by and high alert for any possible further storms today”, He added. Agri SA is calling on all South Africans to support the Drought Disaster Fund to provide assistance, especially at humatarian level for those affected by the drought the country is currently experiencing. “We have a fund that’s setting up, a Drought Disaster Fund”, said Omri van Zyl. “That we will use to assist with strategic interventions within the sector to help alleviate negative effects of the droughts on farmers in all the different commodities spaces”, He added. ER24 is urging people who suffer from depression to seek medical help and not to keep feelings bottled up. The emergency service’s Chitra Bodasing says while many women are more open about their feelings and problems, majority of men who do not open up, or speak up, tend to become more aggressive and might lose everything they hold dear. “Well some of us are counting down the days to the festive season”, says Chitra Bodasing. “Others are experiencing feelings of sadness and loneliness or it is a very stressful time for them” she explained. She added “People are urged to offer support and be more understanding towards those who are depressed or stressed”. One person was killed and six others injured in a collision that occurred earlier this evening on the N12 close to the Lenasia off ramp in Gauteng. ER24 spokesperson Pieter Rossouw says that… “The collision involved a taxi as well as a light motor vehicle’’. “Over and above the deceased patient, there was also one patient with critical injuries that was treated and transported by ER24 paramedics to LenMed hospital in Randfontein for further treatment”, he added. “The other patients all sustained moderate injuries and were treated and transported to nearby hospitals by other medical service that were on scene,” He explained. Ina and Robbie Lotters were murdered during a robbery today. The body of Ina Lotters was found just afternoon today. Lotters and her husband Robbie, were murdered during a robbery and arson attack on the farm house near Modimolle yesterday evening. “The body of the woman was discovered in the burnt out house where a section on the roof collapsed on her”, Said Ronel Otto. “Post Mortems will be conducted on both bodies to determine the cause of the death” explained Otto. “No Arrests had been made we’ve got a dedicated and experienced team of dictators working on this incident”, He added. Labels: Ina and Robbie Lotters were murdered during a robbery today. One person sustained fatal and two others were left in a collision that occurred on M7 near pine town earlier this afternoon. “The allegedly collided with the light motor vehicle and then the light motor vehicle allegedly caught fire”. Minister of Communications Faith Muthabi, tabled a Bill that will give ANC government complete control over the public broadcaster, the SABC. The president will now appoint non-executive members of the board on the advice of the Minister not parliament. “DA will do everything in its power to oppose the Broadcasting amendment bill”, said PhumzileVan Damme. “Which was given in parliament on Friday by the Minister of Communications”, Added Van Damme. “This Bill will astonish South Africa’s Democracy as it to remove parliament’s role in appointment to the SABC board members” She said. An man in his late forties dressed up as Superman was rescued from Table Mountain yesterday. The man was participating in a fun run that started in the city and went up the mountain. It then seems as if the man started suffering extreme exhaustion as his wife phoned ER24 for help. ER24 paramedics, dressed in red and blue just like the superhero, along with the assistance of the park rangers at Table Mountain started searching for the man. The Democratic Nurses Organisation, whose majority members are women, says in a statement issued it welcomes the judgement by the Supreme Court of Appeal in finding Oscar Pistorius guilty of murder. In a statement issued, the City of Cape Town says in an effort to assist motorists whose vehicle license discs expired on 30 November 2015. And who have not acted in time to renew their discs, the City will extend the operation hours of selected motor vehicle registration centres. “Due to the problems that have been found at the motor vehicle licence offices”, Said Alderman Ian Neilson. “Due to the new rules that are in place. The city will be extending hours on Saturday morning to allow more time for motorists to be able to renew their licences before the holiday period”, He Added. In yesterday’s meeting between leaders of University student councils and Minister Blade Nzimande, the DA president of the Fort Hare SRC forced Minister Nzimande to apologise for his “students must fall” comment. Minister Nzimande has been widely criticised for proclaiming that students should fall at a time when students were desperately crying out for financial exclusion experienced by many South African Students. One Man died and a woman sustained moderate injuries when the vehicle they were in, overturned on the N8 about 20Km outside Bloemfontein in the early hours of the morning. ER24 paramedics and Fire and Rescue Services arrived on scene and found the vehicle on its roof in a field near the road. “A man found a few metres away from the vehicle was assessed. Sadly there was nothing that could be done for him. He had sustained multiple injuries and was declared dead”, said Chitra Bodasing. “It is understood that a woman was found trapped between the bonnet and windscreen of the overturned vehicle”, added Bodasing. “Fire and Rescue as well as towing services lifted the vehicle in order for paramedics to gain access to the patient. The woman was removed from under the wreckage and assessed”, said Bodasing. She added that “It was found that she sustained moderate injuries. She was treated and transported to hospital for further medical care”. Dep Minister of Police to engage with Mdantsane Community members. The Deputy Minister of Police, Ms. Makhotsho Maggie Sotyu, will engage with Mdantsane community members on 10 December 2015. The engagement forms part of the 16 Days of Activism for no violence against Women and Children- Count me in. “The Deputy Minister will also take time to visit five identified families of gender-based violence survivors to offer support and to hand over Christmas gifts”, Said Col Sibongile Soci. “The engagement will be preceded by a suspect raids, roadblocks and stop and search(es) in and around Mdantsane”, Added Soci. She added “The media is invited to accompany the Deputy Minister to all the scheduled events where she will be accompanied by the Eastern Cape Provisional Commissioner and other stakeholders crucial in the fight against gender-based violence and community leaders”. Labels: Dep Minister of Police to engage with Mdantsane Community members. The African National Congress Youth League Dullah Omar Region calls on Mayor Patricia De Lille to move the annual Festival of Lights Celebrations multimillion Rand event away from Adderley Street to Khayelitsha’s Jafta Masemola Road- one of the biggest streets on the Cape Flats. He added “And we are making this call precisely because the event takes place at 21:00 PM where many people struggle to get to the City because of transport”. The Castle of Good Hope will be hosting the very significant Chinese Culture Festival in South Africa from 4 December to 12 December 2015. Castle Control Board CEO, Calvyn Gilfellan says, this event coincides with President Xi Jinping’s visit to South Africa and supports the five to ten year strategic programme for Cooperation initiative between these two countries. “”We really invite all citizens who are interested in global relations and autumn exchange to pay us a visit.” He concluded. The embattled Deputy National Director of Public Prosecutions, Nongcobo Jiba has finally filed her answering affidavit. The application was submitted on Wednesday afternoon in the Western Cape High Court. The Democratic Alliance says it would like to see her suspended. “She has always acted in good faith and that criticism by a court does not necessarily entail that a person should be disciplined and suspended.” The DA’s Samkelo Magobozi said. The City of Cape Town’s Health Directorate is on hand to help ensure a safe initiation season for both traditional initiation schools and the young men performing their cultural rite of passage this summer. The initiation season officially two weeks ago. He also added, “There are far too many young men whose journey ends in deaths in part of the country. Deaths which ultimately should and could be avoided”. “We also started increasing awareness and promotion of medical men circumcision, but we are sensitive to the fact that this is viewed differently from initiation, which is a right passage”, said Siyabulela Mamkeli. The National Arts Festival and Business and Arts South Africa announced the winners of the 2015 Arts Journalism Awards in Johannesburg on Monday, naming freelance writer Lwandile Fikeni overall Arts Journalist of the Year. The winners list includes ten gold and 23 silver awards made to individual journalists, and a gold and three silver awards to media organisations for their nurturing of arts journalism. 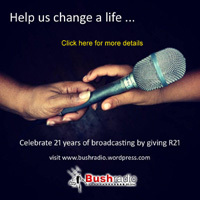 Additionally, a Lifetime Achievement Award was given to Bush Radio’s broadcaster and writer Nigel Vermaas, citing his commitment to covering music of all genres and to mentoring the next generation of arts journalists. “ It’s really wonderful to have received something like this and I think what is really great is the fact that they have an award for arts journalism specifically because they don’t respect the arts as much as they should”, added Nigel Vermaas. He also added “It’s really a step in the right direction”. The City of Cape Town’s upgrade of the Langa Station Southern Forecourt public area is currently under way. The project, at a cost of more than R11 million, is one of a succession of public space upgrades that have been undertaken in the Langa area over the last decade. It forms part of the city-wide efforts to create innovative and inclusive community-friendly spaces, especially in areas characterised by historic underinvestment. Van der Merwe says ‘’This administrations aim to provide facilities wich make all of the people of cape town feel at home in a physical urban enviroment.We has to sit here in every need our communities take ownership of this spaces. They should please get involve to protect and to actively help to promote this spaceship as we create Cape Town where everyone feels at home. It is only free to support our residents that we can change the face of our communities by building quality driven safe public spaces actively use by local neighbour hoods.’’.